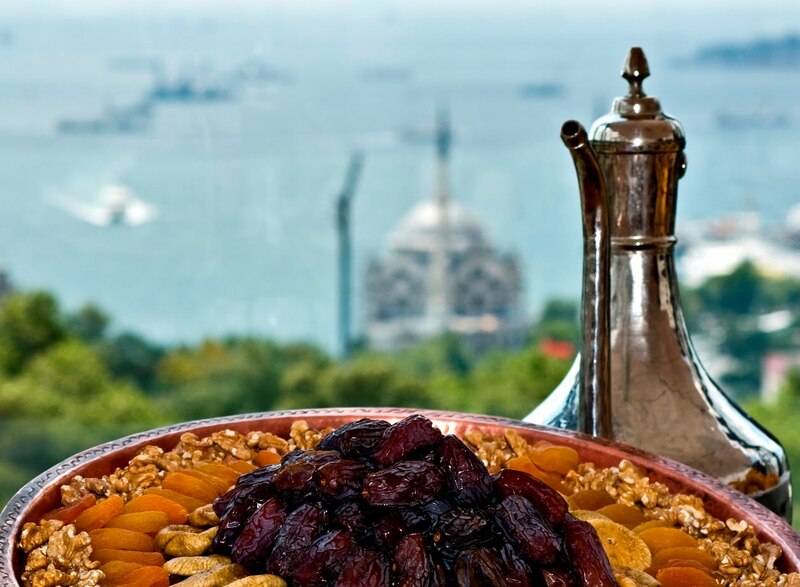 If you are visiting Istanbul during the month of Ramadan, then you should have an authentic iftar (breaking the fast) dinner at one of the best restaurants of the city where you can eat traditional Turkish food till you drop and find peace in the priceless ambiance and views. Here we go.. 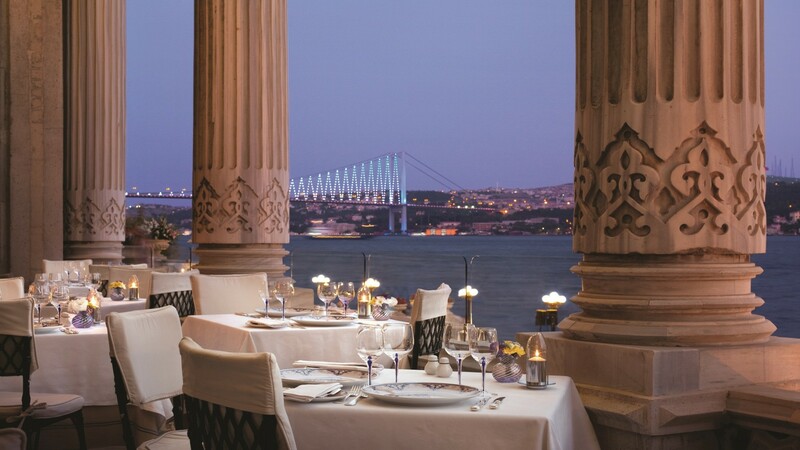 The traditional Ramadan vibe will first capture you with the mesmerizing view of the Bosphorus at the Bosphorus Terrace Restaurant located on top of Hilton Istanbul. 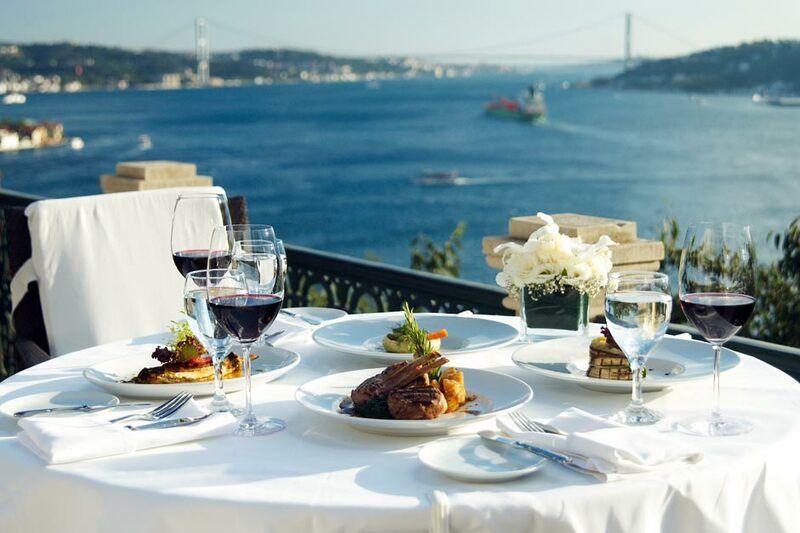 Suddenly, your attention will switch to the culinary delights of Turkish and Ottoman cuisine, such as lamb tandır, roasted çoban (lamb roast), stuffed vine leaves or a special kind of chicken, tavuk topkapı translated means the Topkapi (palace) chicken which is a savory delectable. Chicken breast stuffed with a fragrant mixture of rice, currants and pine nuts then roasted and served with a savory light sauce. Alongside their cuisine you are also served with Ottoman syrup, boza –a traditional Turkish drink which has a thick consistency and a low alcohol and a slightly acidic sweet flavor. Lastly munch on roasted chickpeas and sip Turkish tea while enjoying live fasıl music. Lokma serves both iftar and sahur (before dawn) meals during Ramadan. It has two different iftar menus, the first one offers iftar appetizers, soup of the day, su böreği which translates to water borek a delicious traditional layered breakfast borek often with spinach or a feta like cheese. Turkish meatballs, lamb tandır, grilled meat and pilaf, and traditional Turkish dessert, where the second one only changes in kıymalı kol böreği a borek with a much different texture traditionally stuffed with ground beef and baked as well as tavuk külbastı which is essentially a pan fried chicken breast with a bit of garlic and onion to season. The prices of the menus are 42 and 39 TL respectively. Hünkar is one of the first restaurants that comes to mind when you say Turkish or Ottoman cuisine, and they always welcome Ramadan with a special iftar menu. With its elegant interior design resembling the Ottoman period, Hünkar offers you iftar appetizers, salad, soup of the day, su böreği and vegetable of the day. 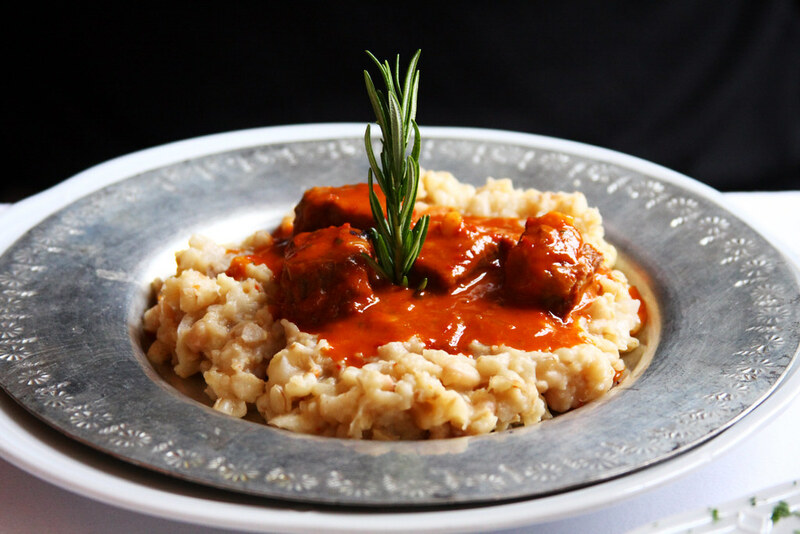 A specialty is hünkar beğendi "the Sultans Delight" which is chuncks of tender lamb served on a bed of creamy eggplant as well as traditional Turkish desserts and non-alcoholic drinks. As one of the experts of Gaziantep cuisine, Develi offers a variety of delicious Turkish food for those with a more discernible palate during Ramadan. Their menu consist of special types of kebabs, pastırma (a highly seasoned and cured dried beef from the Anatolian region) sliced thinly on paper, kibbeh (bulgar, onions and fine ground beef), dry eggplant reconstituted with stuffings, tandir with firik pilaf, and many more… Do not forget that the restaurant also has a playroom for children! Price per person is 90TL. There are three different branches of Borsa in Istanbul (Boğaziçi, Kandilli and İstinye). Borsa offers its clients a menu with traditional tastes of Turkish kitchen fused with original touches throughout Ramadan. The menu consists of delicious selections like stuffed cabbage leaves, Karadeniz pita (Black Sea bread), as well as some standard cold mezzes and salads. As for your main course, there are döner kebab with rice, lamb tandır cooked in a stone oven and Turkish meatballs to choose. Don't forget to save room for the many Turkish dessert options such as güllaç a special dessert served at Ramadan which is essentially a layered dessert most notable for it use of pomegranate seeds and wanuts, rice pudding, profiterole or bread pudding are also available. 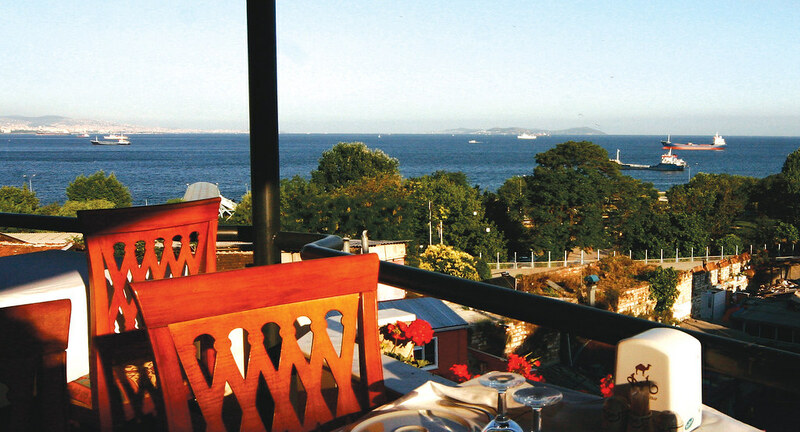 Located in a historical mansion right next the Bosphorus, Lacivert is a perfect option to have a good time with its comfortable ambiance, light delectable offerings of Turkish food, and of course its stunning view. The restaurant offers some fasting appetizers and regional flavors such as Medine hurması (dates), olive specialties from Bodrum and Milas, home-made fig marmalades and a special cold soup from Adıyaman. Lacivert could be the ultimate choice if you want to have light and delicious food with a cozy ambiance. 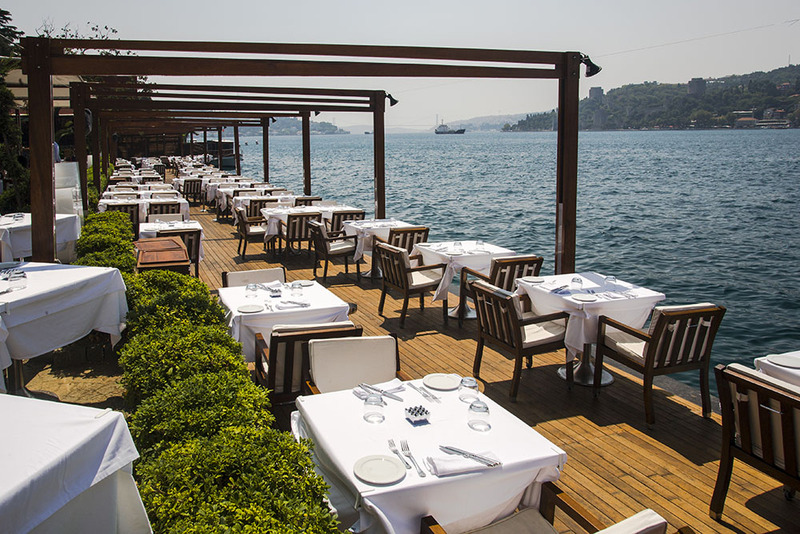 Tuğra Restaurant, which has a marvelous terrace looking directly at the Bosphorus is located on the first floor of Çırağan Palace. Besides the classic fasting appetizers that garnish the table, you can find rich types of Ottoman soups and both cold and hot appetizers. The unique desserts of Ramadan will also be found on the menu such as baklava, keşkül, an almond milk pudding garnished with pistachio, güllaç or aşure which is also a dessert notable for its use of nuts and pomegranate seeds but is more of a grain pudding. At the end of the evening, there will be a surprise that comes with Turkish coffee: Turkish macun (a sweet paste) in orange, vanilla or mint flavors! 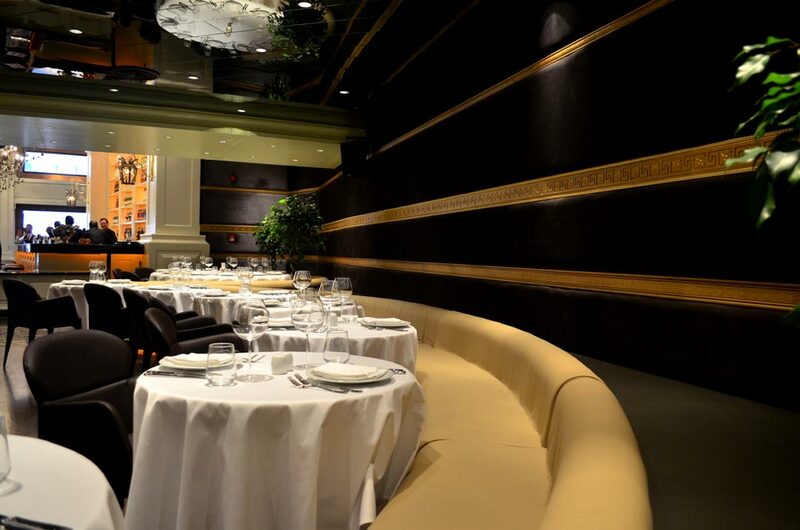 Sofra London first opened its doors in Great Britain as a Turkish restaurant, then moved back home to Karaköy district to open up their new branch. It is the only Turkish cuisine establishment which is recommended by the Michelin guide and that offers traditional Turkish food with a modern twist. There are two menus for iftar during the Ramadan which allow guests a large sampling of food, with mezes, kebabs, meatballs and fish, as well as typical desserts. Ramadan is not an excuse to go and eat at this well-established spot, but during this holy month they serve a special iftar menu. It changes daily, but it always includes the lesser-known regional specialties, and it is highly recommended! 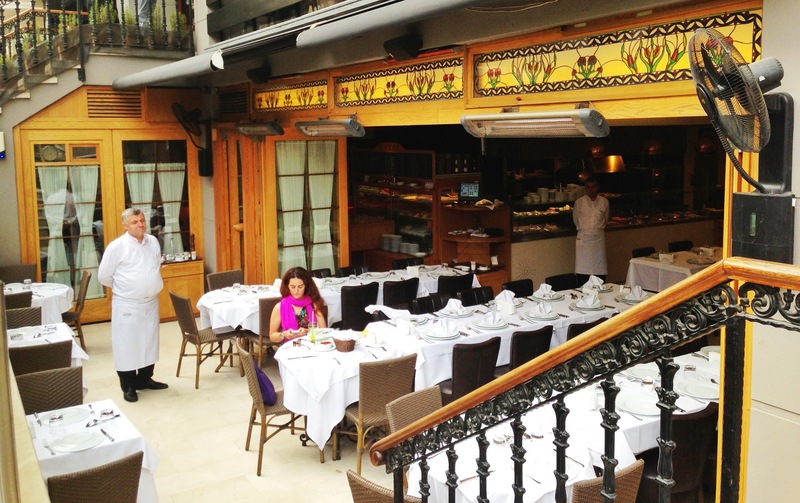 Most foodies will tell you no trip to Istanbul is complete without taking a meal at Çiya. 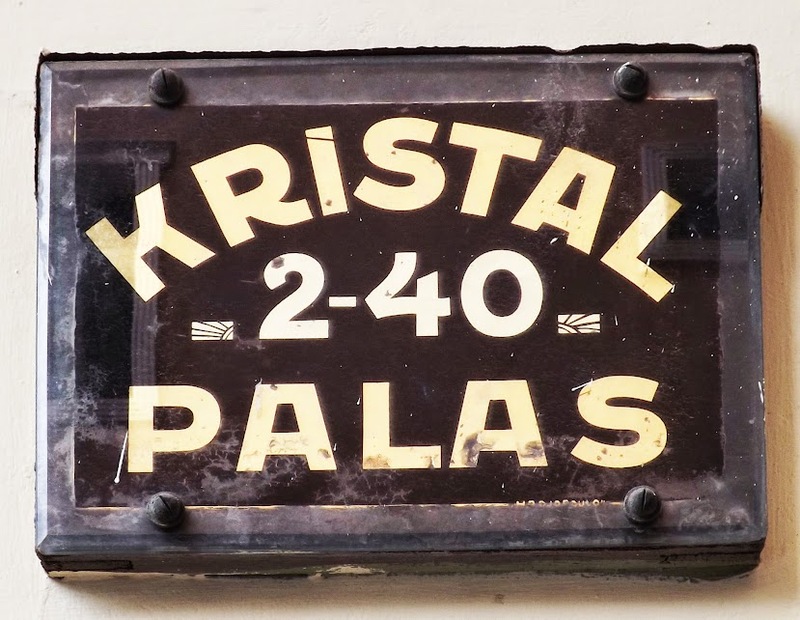 This restaurant devotes itself to the cuisine once served the sultans at the Ottoman Palaces. They create their menus under the guidance of their “food archeologist” chef. 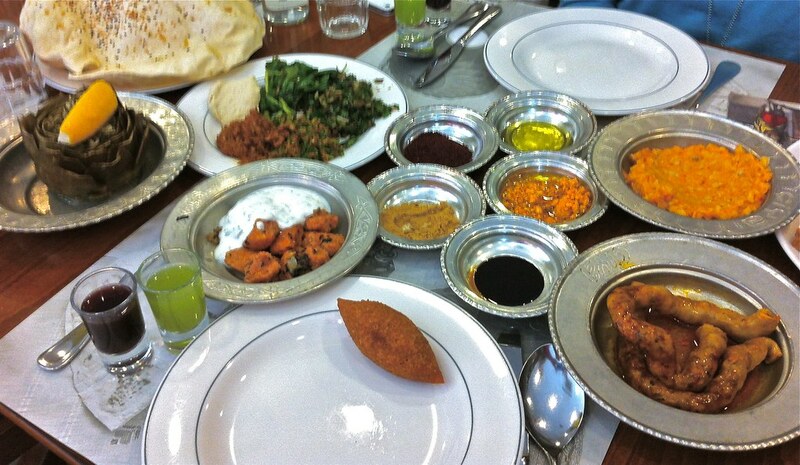 During Ramadan, Asitane is full of fast-breakers looking for an Ottoman style iftar. The restaurant’s garden is pleasant place to spend the evening.